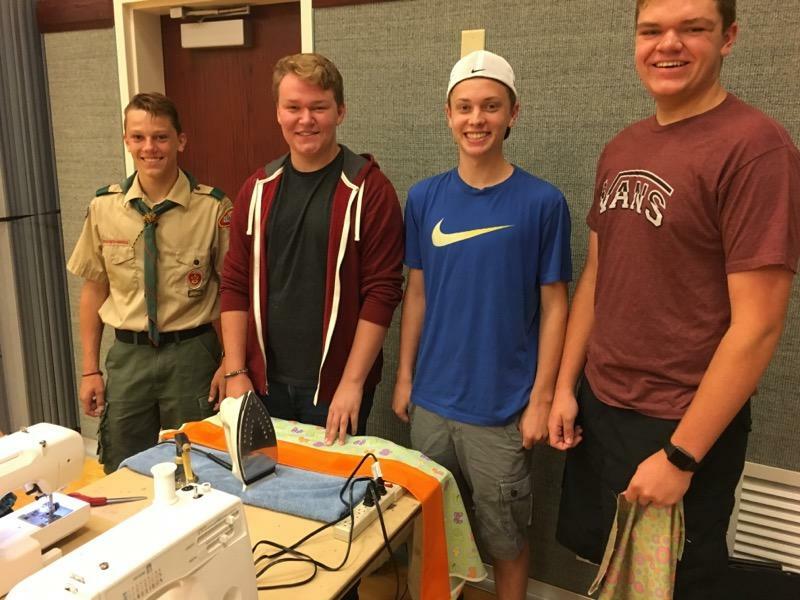 Welcome to our Chapter. We hope you will join us in helping children feel better to heal better. 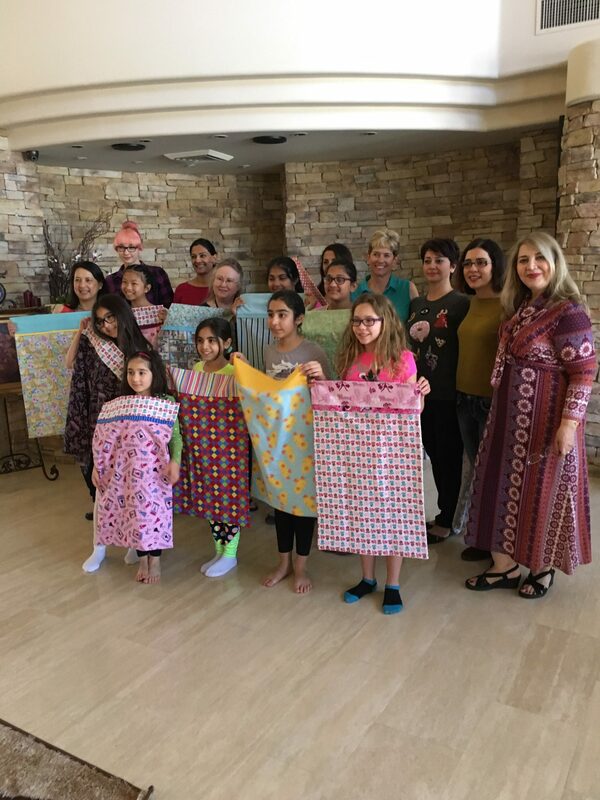 Since the inception of the local Las Vegas Chapter in 2009, we have delivered over 21,000 pillowcases to children in the Valley. 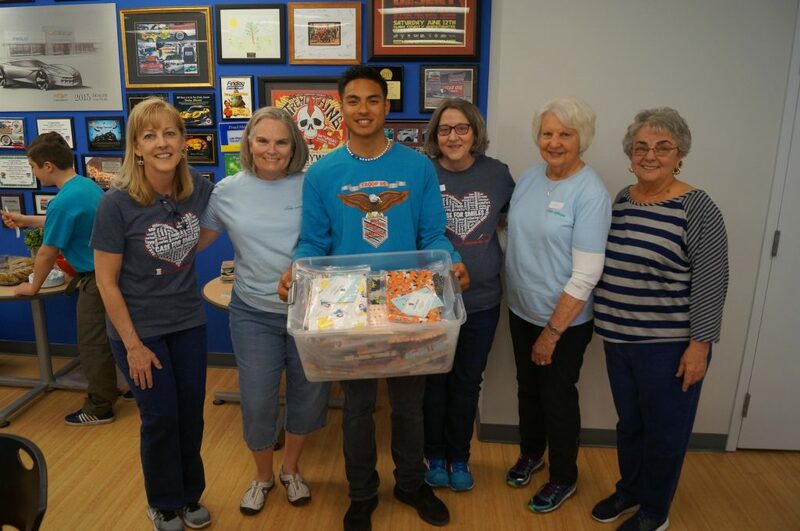 Our annual delivery is approximately 2,200 cases which includes 250 cases each summer for those attending Camp Cartwheel – an event sponsored by the Nevada Childhood Cancer Foundation. 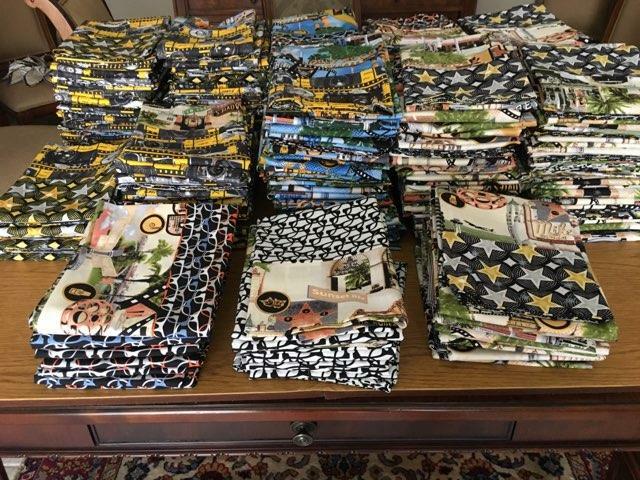 One yard of new novelty fabric will make a pillowcase. With fabric now costing in excess of $12/yard, we are only able to continue our objective with the generous financial and in-kind support of our many volunteers. We can use volunteers interested in fund raising, washing, ironing and packaging, and sewing! Contact us to help! 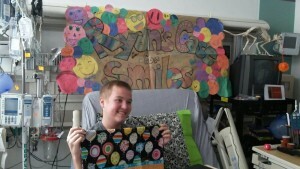 Thanks to all those who support these children as they battle this disease! 3rd Sunday of each month, 12:30 pm – 3:30 pm – The Christmas Goose Quilt Shop, 2988 S. Durango #109, Las Vegas, NV 89117. 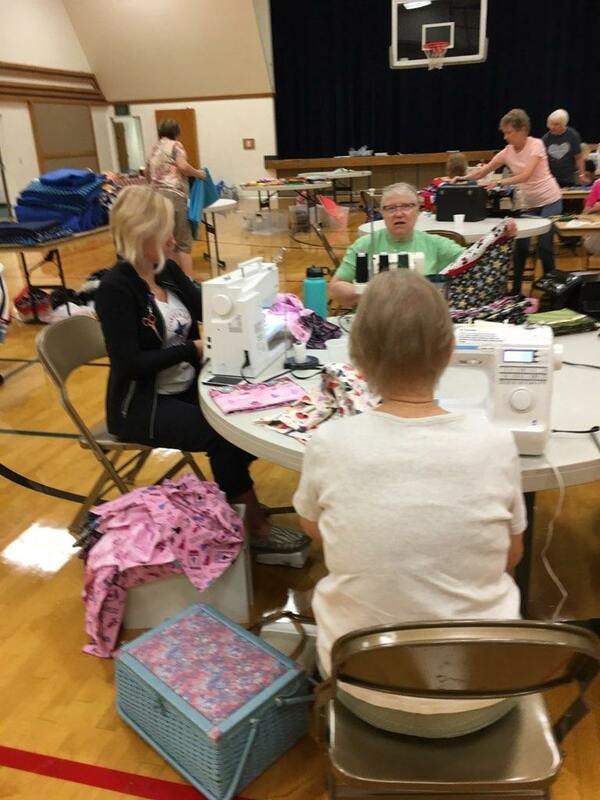 Enjoy a fun afternoon making cases! We provide the fabric kits, you just need to bring your sewing machine and some thread! 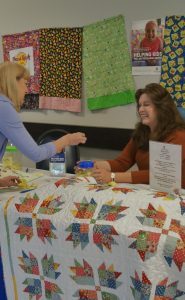 Thanks to everyone for generously supporting our raffle at the Desert Quilters’ of NV Quilt Show at the Henderson Convention Center. 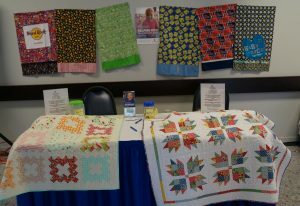 Pictured is our table with the two quilts displayed. 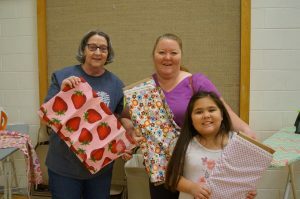 The winners of the quilts were Susan Finer and Ellie Shea – CONGRATULATION! 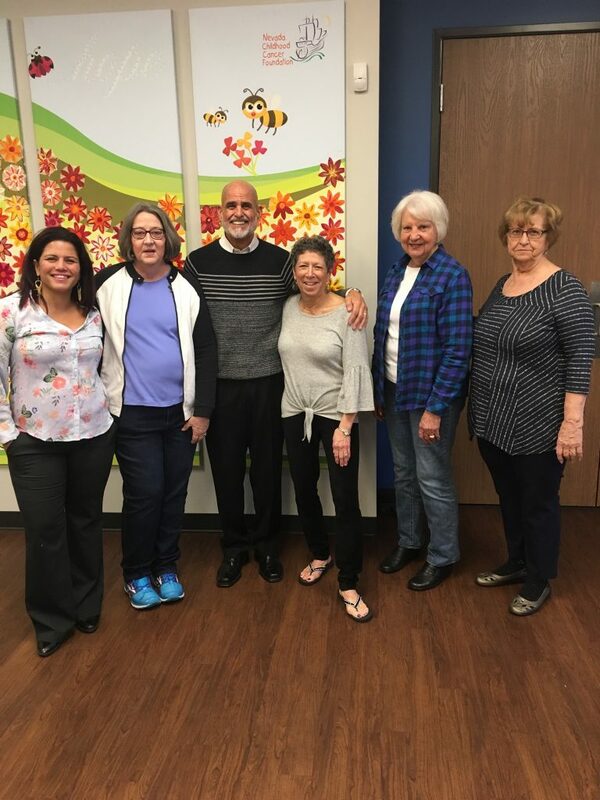 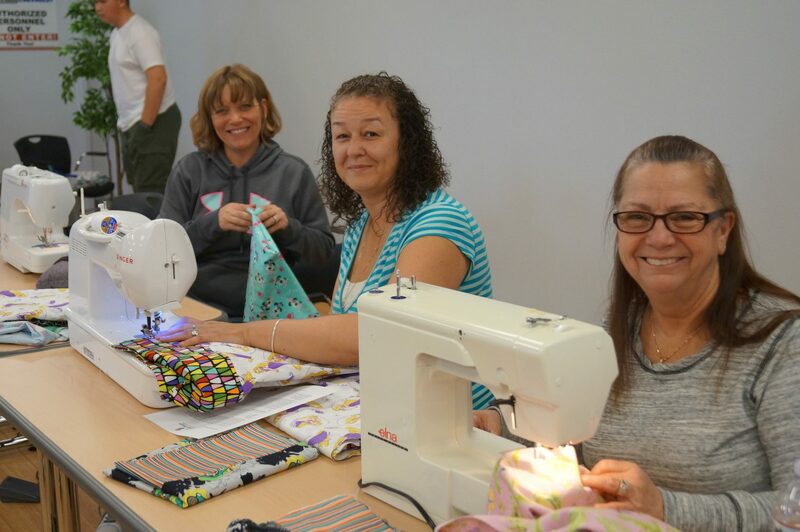 On February 3rd, Ryan’s Las Vegas joined the Green Valley Stake Relief Society in their Community Humanitarian Workshop. 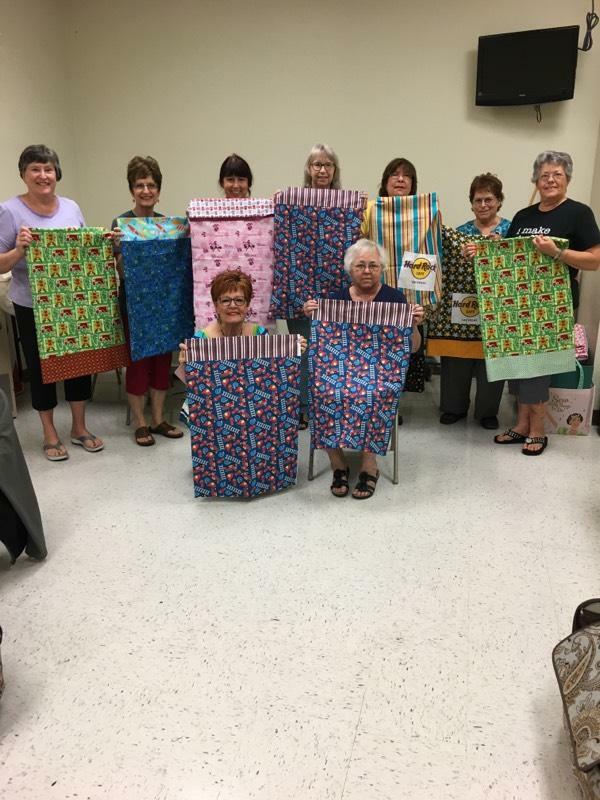 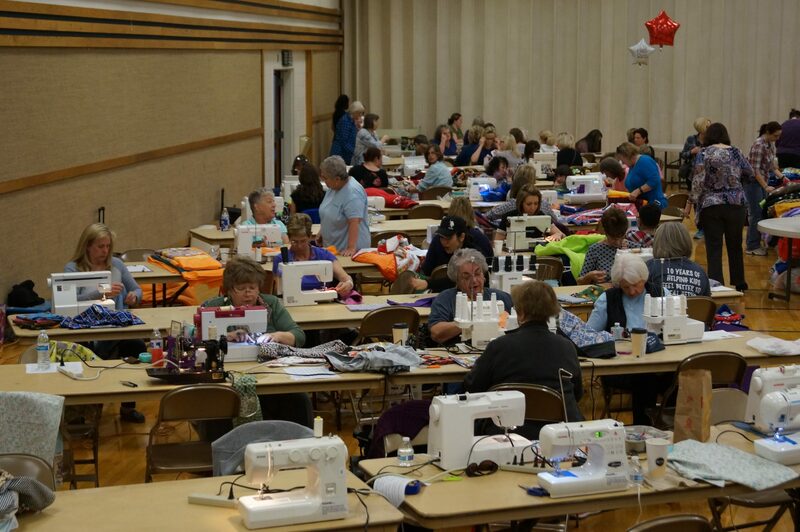 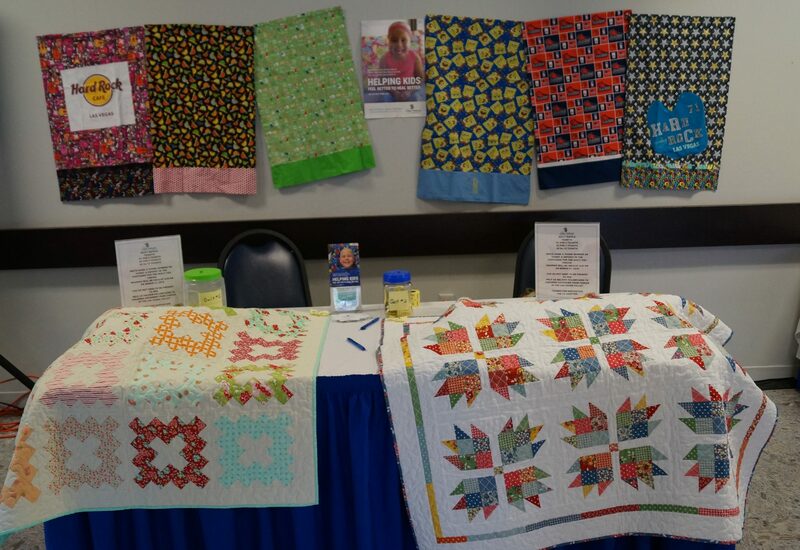 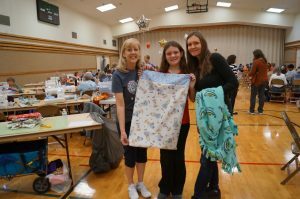 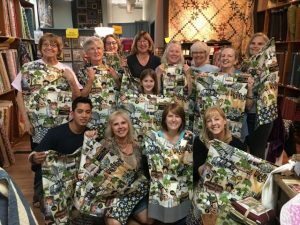 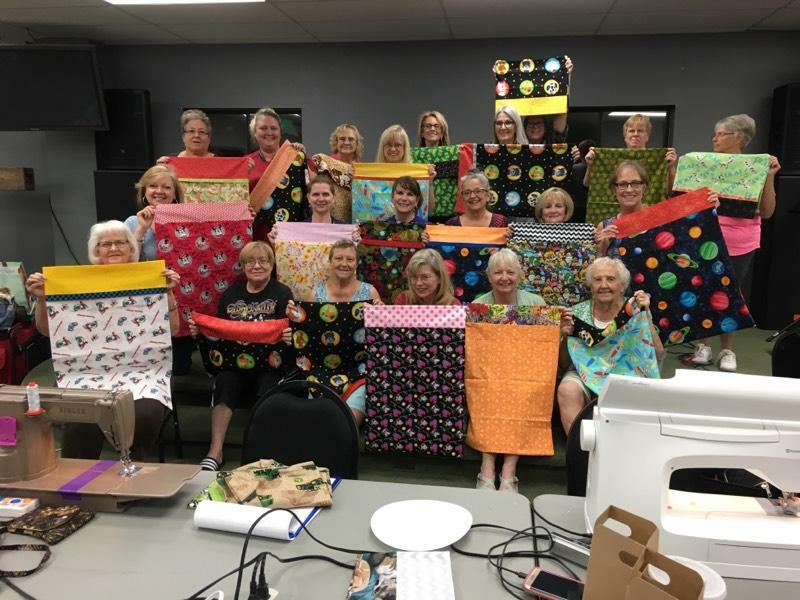 During this event, the community is invited to share their time, talents and treasure by making blankets, quilts, shoes, pillowcases and more for non-profit organizations. It was an amazing event where we worked with volunteers teaching them how to sew pillowcases and we even took in some fabric donations, too. 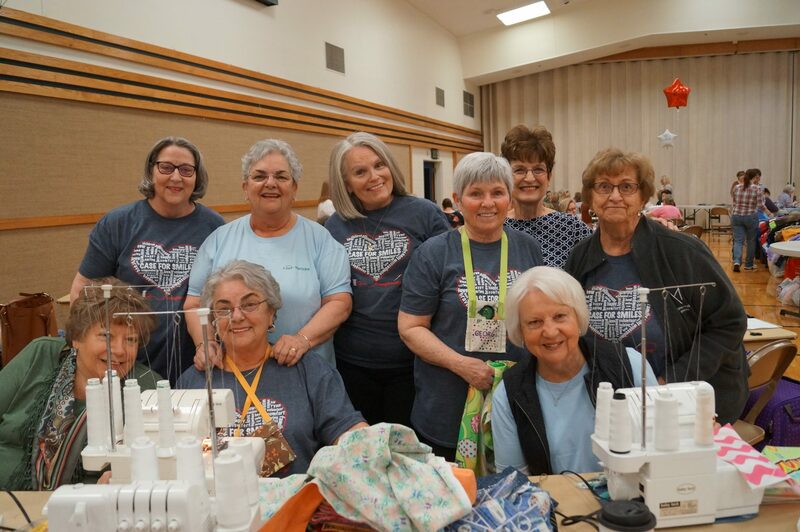 We were invited to participate in this event which gave us an opportunity to share our mission with area clubs to encourage them to support us. 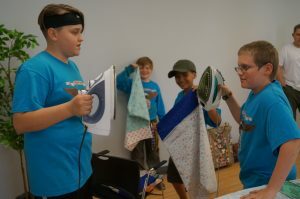 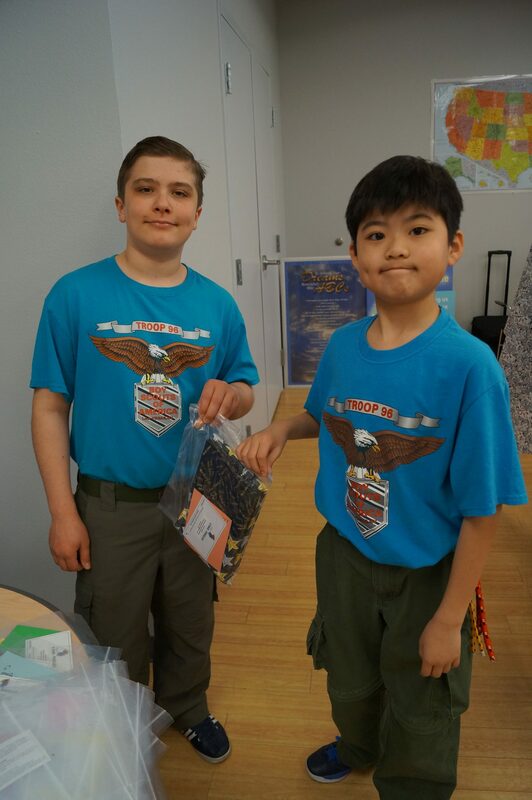 They were able to make a pillowcase as they learned about ways they could help raise funds to support our efforts. 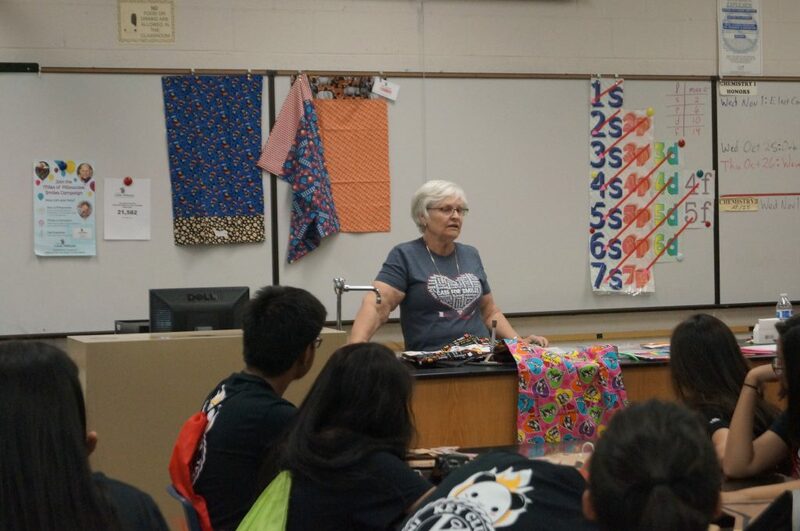 The Las Vegas Chapter and its many volunteers completed 1,100 cases (almost a half-mile!) as our part in helping reach the goal of making a case of each child in active cancer treatment, i.e., in excess of 44,000 cases! 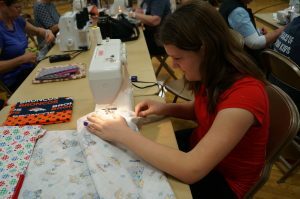 This annual event runs during the month of September as part of National Pediatric Cancer Month. 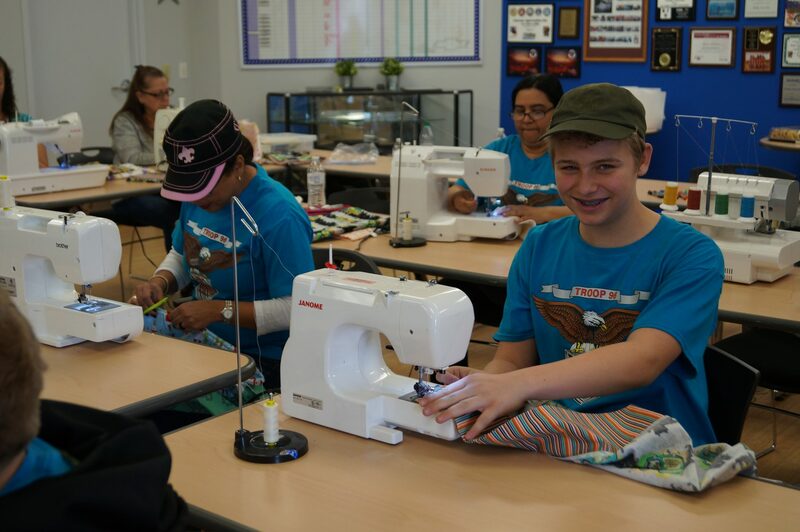 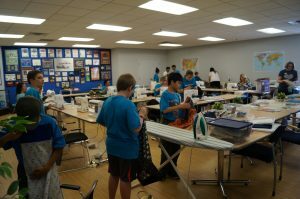 Thanks to all who donated fabric, sewed cases, and washed, ironed and packaged them for delivery! On September 17, 2015, Case for Smiles volunteers delivered the ceremonial millionth pillowcase to a hospitalized child in each of its 120 chapters across North America. 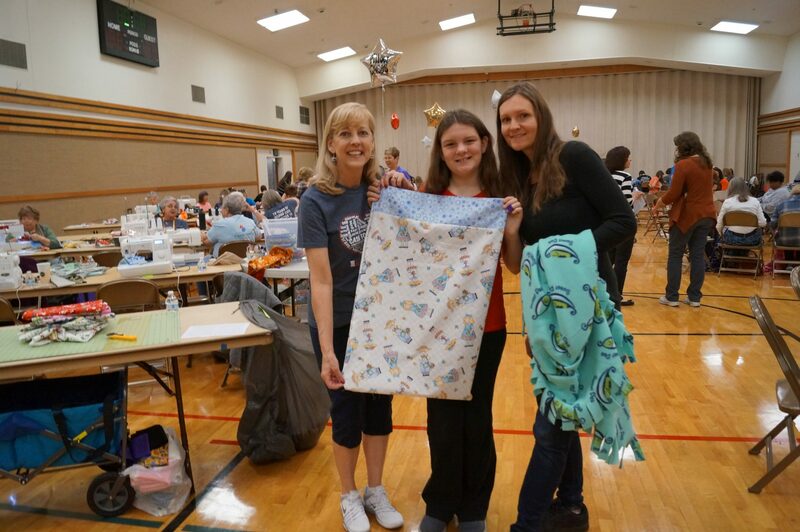 Each child received a specially designed pillowcase to celebrate our milestone. 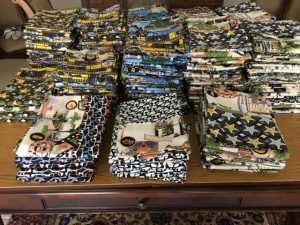 In addition, schools across the country declared it “National PJ Day,” and celebrated in honor of the millionth milestone. Click here to see more from the millionth pillowcase celebration.